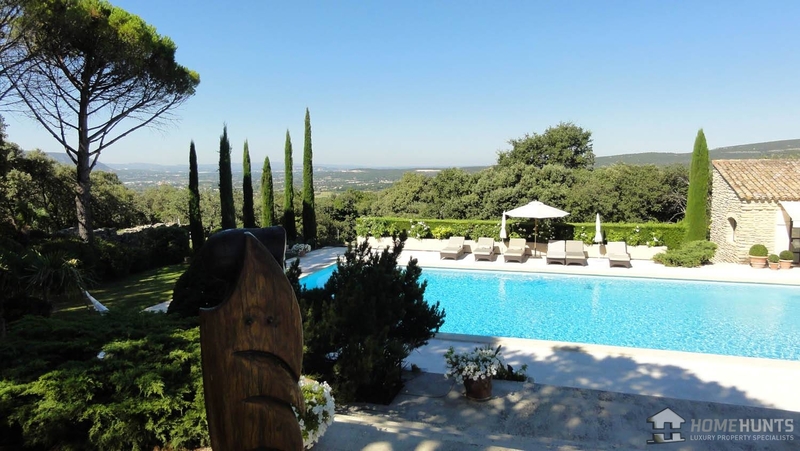 Facing the Luberon mountain and its valley, with dominant views and close to the prestigious village of Gordes, contemporary stone property with refined materials and comfortable living areas. Very elegant landscaped garden, large garages, pool-house with independent rooms, large swimming-pool and jacuzzi. Contact us for more details.